Crispy & crunchy chicken popcorn is an all-time favourite for many. 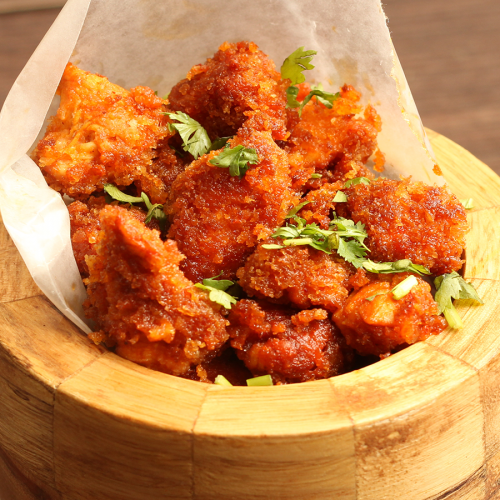 Here is a basic recipe of delicious chicken popcorn. 4Roll them in bread crumbs. Sprinkle chat masala or any seasonings to spice up your popcorn chicken.